Legend has it that hundreds of years before Dzogchen Monastery was founded, Guru Rinpoche miraculously travelled to the Dzogchen valley. At that time the valley formed a lake where nine demon brothers lived. When Guru Rinpoche arrived he opened up the bottom of the valley and drove out the water. 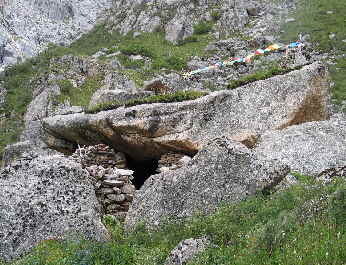 The demons tried to escape, but Guru Rinpoche brought down a rain of rocks and trapped them as they fled. Nowadays in the village below Dzogchen Monastery there are nine small hills of large boulders, close to the entrance of the valley. These are where the demons were trapped and stupas were built on top to ensure they would never escape. The original name of the Dzogchen valley is Rudam Nukpo, which actually means ‘the dark valley of demons bound’. The trapped demon hills in the village. 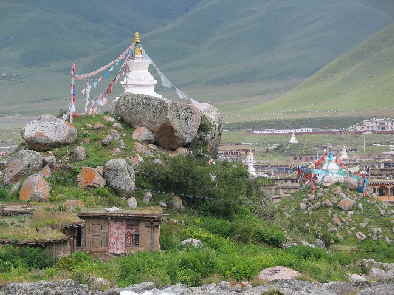 Following this in Pema Tung, Guru Rinpoche produced dharmic medicine and scattered it throughout the valley. 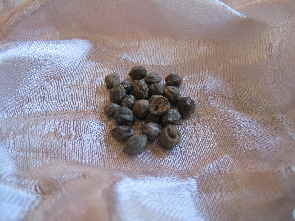 The medicine took the form of the medicinal fruit myrobalan which is normally only found in India. 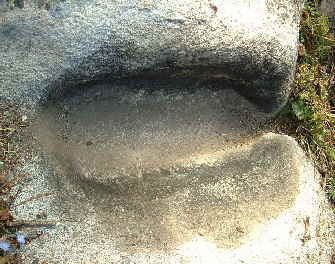 In most places the fruit perished, but on the glacier at the top of the valley the seed of the fruit has been preserved. Even now, if one goes up to the glacier line when all the winter snow has melted, the seeds can be collected from the ice. Medicinal seeds found in the glacier recently. Guru Rinpoche blessed the Dzogchen valley as a place of enlightened qualities and prophesied that anyone who so much as sets foot in the valley, will not fall down to the lower realms. Dzogchen Pema Tung or the Lotus Ground is named after Guru Rinpoche, who is sometimes called the Lotus Born Master.